There’s a lot to consider when buying a mattress — beginning with size, comfort and price. We’ll leave size and comfort up to you, but we can help you sleep better by knowing that you got a good price. Getting a good night's sleep is elusive for many of us. We wake up tired, groggy or just feeling like we haven't gotten a good night's sleep. What really happens when you head off into the land of nod? Traditionally, researchers have thought about sleep in stages. We all cycle in and out of these stages during the night. These stages include a period of wakefulness, light sleep, deep sleep, and REM sleep. This period of time usually occurs in between sleep cycles or at the beginning of the night as you are trying to fall asleep. Some of these periods are very short, so short they are not memorable at all. This time is very important in that it allows our bodies to relax. In Stage 1, our muscles begin to let go and our breathing starts to slow down. Some people say that they occasionally experience a sensation of falling or feel their muscles jerk during this time as their body begins to enter what almost feels like paralysis. This is the stage of sleep where your eye movement halts. There is no rapid eye movement during this time. Your brain enters a period of rest and relaxation although you wouldn't know it by the activity pattern of your brain scans. Your brain starts to show signs of slowing down but it is usually the last part of your body to "fall asleep." Your heart rate slows down causing your blood pressure to decrease. Another side effect of a slowing heart rate is decreased body temperature. This stage of sleep is called deep sleep or slow wave sleep and is characterized by the slow, wave-like patterns your brain makes as researchers study sleep. If you are awoken during this stage of sleep, you usually feel foggy and may find it difficult to move your limbs. This is because your body has entered a stage where it is "recovering" from the day. Research has shown that the more activity, both physical and mental, that you do during the day, the longer you are likely to stay in this stage of sleep. REM sleep is the time where your body begins to come out of the deep sleep stage. It is characterized by rapid eye movement, an increased heart, and breathing rate. You may spend anywhere from 10 minutes to an hour in this stage as your body finds itself between deep sleep and wakefulness. This is also the stage of sleep where dreaming, or nightmares, occur. It is thought to be important for memory too. It isn't uncommon for the length of REM sleep to increase as the night progresses. How Do I Know If I Am Getting Good Sleep? A typical night's sleep will find you moving fluidly in and out these stages of sleep. However, we tend to spend most of our time in Light and Deep Sleep where our minds and bodies use the time to recover from the day's activities. How do you feel when you wake up in the morning? If you are still groggy, you may have woken during a period of REM sleep. Take the time to examine your sleep routines, including consistency when going to bed, waking up and your bedtime surroundings. Can My Mattress Be Causing My Poor Sleep? 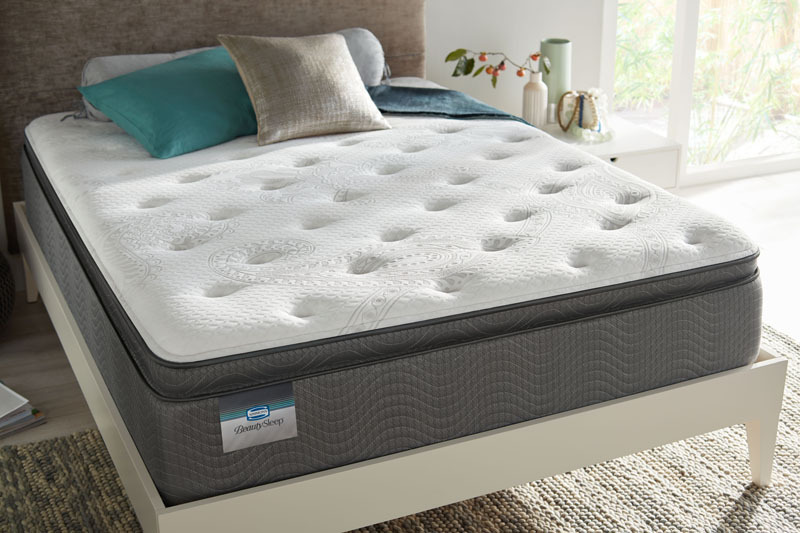 Just like many other factors including alcohol, room temperature, erratic sleep schedules and eating patterns, a poor mattress could be causing your poor sleep. In a study conducted at the National Institute of Health in 2015, researchers looked at the effect that mattresses had on elderly participants with regards to sleep and back pain. They found that mattresses had an effect on both. A more comfortable mattress and presumably reduced pain allowed participants to fall asleep faster. With so many of us finding it hard to fall asleep, this comes as welcome news that a good mattress can help us fall asleep faster.